If you are looking to be in the middle of the action in the facilities management world, Houston was recently the place to be. The IFMA World Workplace Conference, held last month in Houston, is an all-encompassing learning and networking event focused on facilities and how to manage them. This year’s annual conference allowed for further discussions, from groundbreaking discoveries impacting the industry to achievable strategies for daily FM tasks. Today’s facilities manager is a business manager whose decisions directly impact the brand and who is responsible for optimizing his locations for best-in-class customer experience and sales. Now more than ever, facilities teams need state-of-the-art tools and business intelligence to manage their programs and stay competitive. ServiceChannel was proud to co-present with Bloomin’ Brands during the IFMA World Workplace Education Sessions (we were one of 100+ education presenters!). 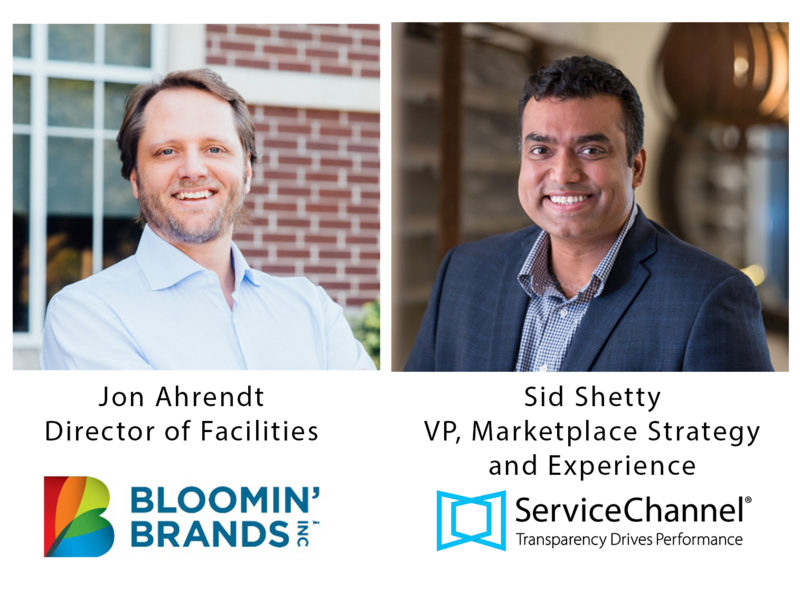 Sid Shetty, VP, Marketplace Strategy & Experience from ServiceChannel, presented with Jon Ahrendt, Director of Facilities from Bloomin’ Brands on How Analytics is Changing the Face of Facilities Management. With the facilities management industry being a $500B fragmented industry, it’s no surprise that decisions are often driven by gut, not by data. FM analytics is an extremely powerful tool that can provide you insight into your business operations and help optimize it. With strategic dashboards in place, you can make more informed high-level decisions to influence the future direction of your business and achieve your goals. Tactical dashboards allow for monitoring performance and highlighting opportunities for improvement within your team or division. Machine learning is all around us! Systems today analyze huge sets of data to identify patterns and make recommendations, getting smarter over time. With the appropriate tools in place, Bloomin’ Brands built a strategy of cultural, operational and fiscal focuses. By hiring the right people and implementing the right technology, they were able to leverage their partnerships and take on a dual-focused approach with clients and service providers.